Add Visio drawing to SharePoint 2013 - a kalmstrom.com tutorial. In the demo below Peter Kalmstrom, CEO of kalmstrom.com Business Solutions and Microsoft certified SharePoint specialist and trainer, explains how to add a Visio web drawing to a webpart in a SharePoint 2013 site page. You need to have the Enterprise version of SharePoint to use Visio Services and the Visio Web Access Web Part. 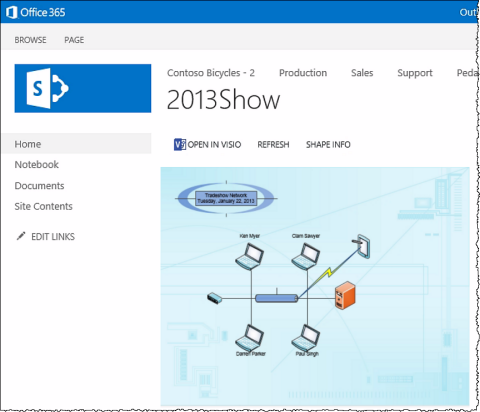 The Visio drawing will show live data in SharePoint. Visio Services can refresh the connections to various data sources and recalculate graphics and text fields. Add a Visio Web Access Web Part to a SharePoint page. Connect the Web Part to the Web drawing file. 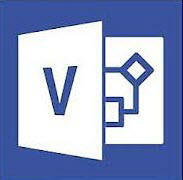 Read about Visio integration in SharePoint in the kalmstrom.com Blog! Let Outlook publish e-mail attachments to a SharePoint document library and add a link in the e-mail.